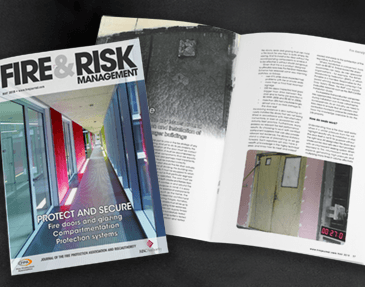 As building designs become more ambitious and certainly more complex, architects and specifiers must pay attention to the effective inclusion of passive fire protection measures if the building is to protect lives and minimise costly damage, should the worst happen. Fire stopping products have a critical role to play in the construction of any building, helping to slow the spread of smoke and fire by using the principle of dividing the area into effectively sealed compartments, using walls and floors. The installation of services such as water, waste and electricity require the creation of cavities in walls and floors to pass plastic, flammable pipes through the building. Should these cavities not be fully sealed by certified passive fire stopping products such as pipe collars, wraps and seals, there remains a significant risk of smoke and fire spreading rapidly through the building by exploiting these gaps in the compartments. Intumescent seals around fire doors are of equal importance and can often be overlooked. When installed correctly, test evidence demonstrates that such fire stopping products can restrain a fire in a specific compartment for 30, 60 or even 90 minutes (depending on the specification chosen). In practical terms, this means more time to evacuate the building and less damage due to smoke and fire spread. A leading authority in the specification, manufacture and testing of passive fire protection products, Pyroplex Ltd operates internationally to help the construction industry ensure high levels of fire safety in both commercial and residential buildings. UK based with worldwide reach, the long-established manufacturing company supplies a wide range of highly effective fire stopping products and components including CE marked pipe wraps and pipe collars, fire-rated foams and many profiles of fire door seals suitable for both timber and metal door sets. As all responsible suppliers must do, Pyroplex can demonstrate full product traceability. 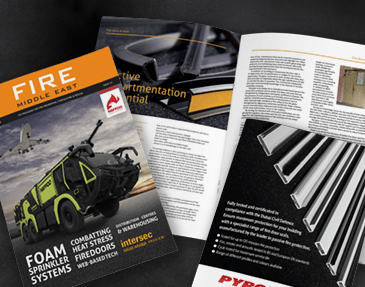 Committed to technical excellence, Pyroplex works tirelessly to secure and maintain third-party certification for its products, reassuring specifiers and contractors about its passive fire protection strategy. This includes CE marking, Certifire certification and relevant BSI certificates. Furthermore, the company carries out a constant program of independent testing – using highly regarded organisations such as Exova Warringtonfire – to confirm and demonstrate the exemplary levels of fire protection that so many Pyroplex products deliver.